Milly Minis swim coverup with 3D rosettes. Cinched Empire waist ties in front. For in-store inquiries, use sku #2427715. 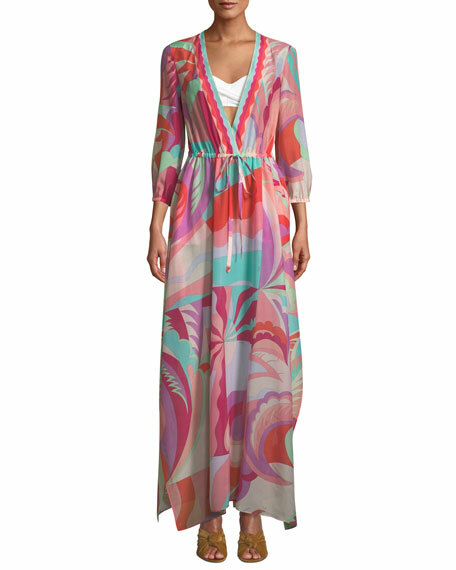 Emilio Pucci multicolor caftan. Surplice V neckline. Three-quarter sleeves. Drawstring waist. A-line silhouette. Floor-length hem; side slits. Slipover style. Cotton/silk. Made in Italy. 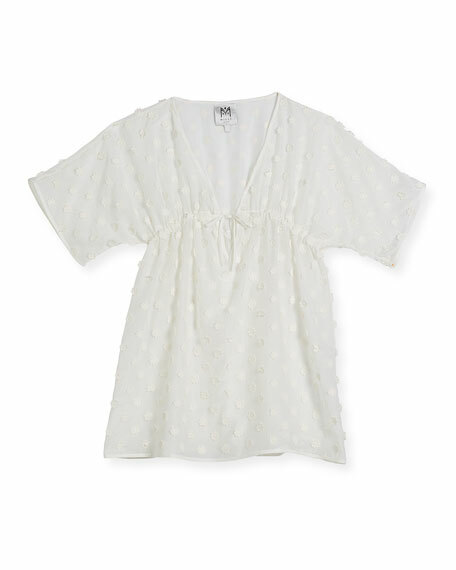 Heidi Klein "Palermo" coverup kaftan in eyelet lace. V neckline; self-ties at front. Three-quarter bell sleeves. A-line silhouette. Mini length. Slipover style. Cotton. Imported. 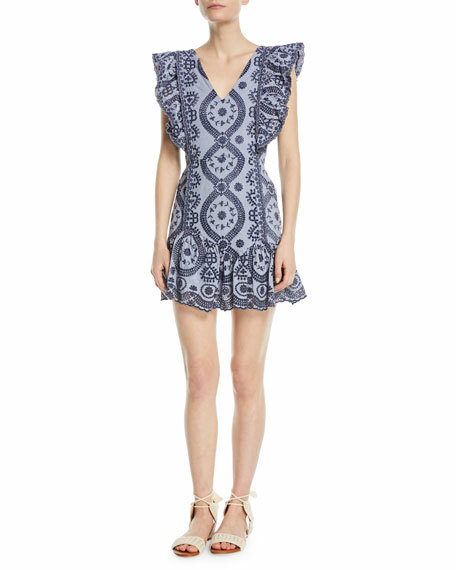 Loveshackfancy "Alanis" embroidered eyelet cotton dress. V neckline. Sleeveless; ruffled frills. Slim silhouette. Hidden side zip. Flounce hem. Mini length. Imported.